The research process deals with the ways and strategies used by researchers to understand the world around us. This is a guide to basic elements of scientific research. A guide to statistics in research. 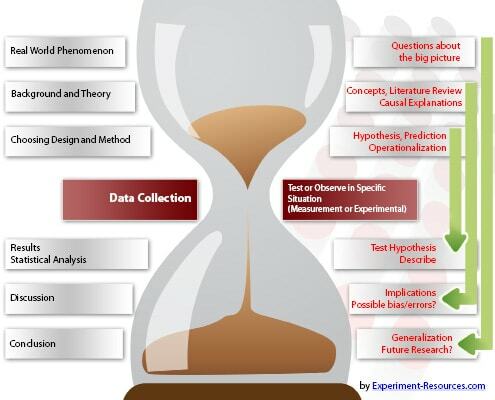 Steps of the Scientific Method - The scientific method has a similar structure to an hourglass - starting from general questions, narrowing down to focus on one specific aspect, then designing research where we can observe and analyze this aspect. At last, the hourglass widens and the researcher concludes and generalizes the findings to the real world. What answers do we expect?